My name is Lorena Rivero the Beer and I am fully qualified counsellor and psychotherapist based in central Liverpool. If you are looking at my page you are probably looking for ways of dealing with personal issues and/or seeking change within your self. As a counsellor and psychotherapist I am committed to creating and maintaining a confidential space where you can safely explore what ever brings you to therapy; a space to enable you to understand yourself better, deal with emotional issues and set in motion the path towards creating the changes you want. 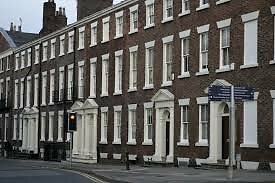 As a counsellor and psychotherapist based in Liverpool my city centre practice is very accessible from most businesses and universities and within walking distance from Liverpool Lime Street and Central station.